GAME OVER: Morimoto has always been the benchmark when it came to the Mini H1…But no matter how many imitations popped up over the years, they just couldn’t compare, and now it’s most certainly too late to catch up. The 7.0 represents the most massive overhaul in Mini H1 history.LUCKY #7: Let’s keep it simple and make a list of everything new about the 7.0. 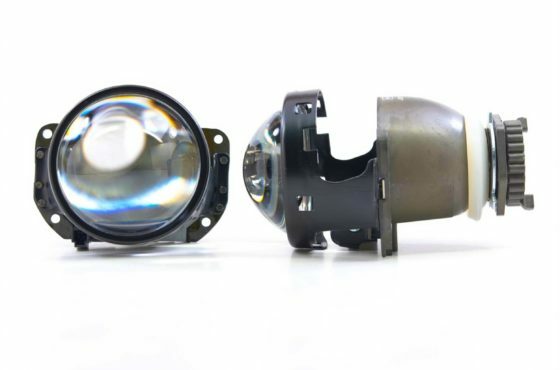 The optically clear lens. 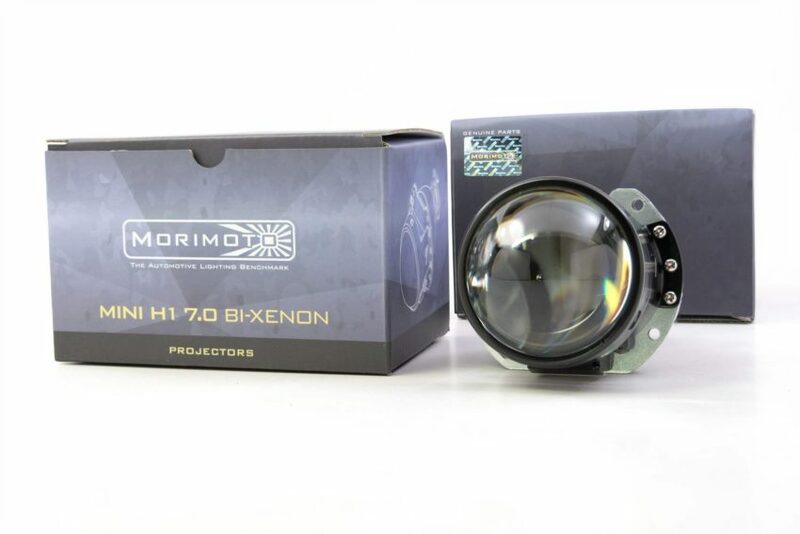 The 7-signed metal lens holder. The side-push bi-xenon solenoid mechanism. The die-cast radically curved cutoff shield. The foreground limiter. The reflector bowl. The IR, high-temp resistant reflector finish. The threaded shaft and it’s precision and added length. The results! The beam is wider. The distribution of light more proper. Your ability to see is better. PERFORMANCE SHOOTOUT: With the most modern optics, an optically clear lens, and their curved cutoff shield; The 7.0 will outshine almost every OEM HID projector on the market and go head to head with the legendary S2000 projectors! 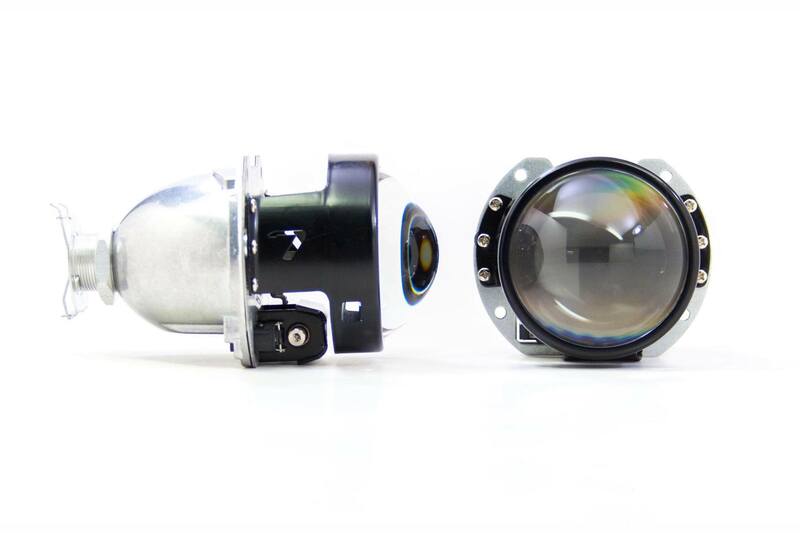 (which cost 3x as much, are much harder to retrofit, and don’t even have a high beam) Their wide, uniformly lit low beam stays intense all the way to the outer limits. 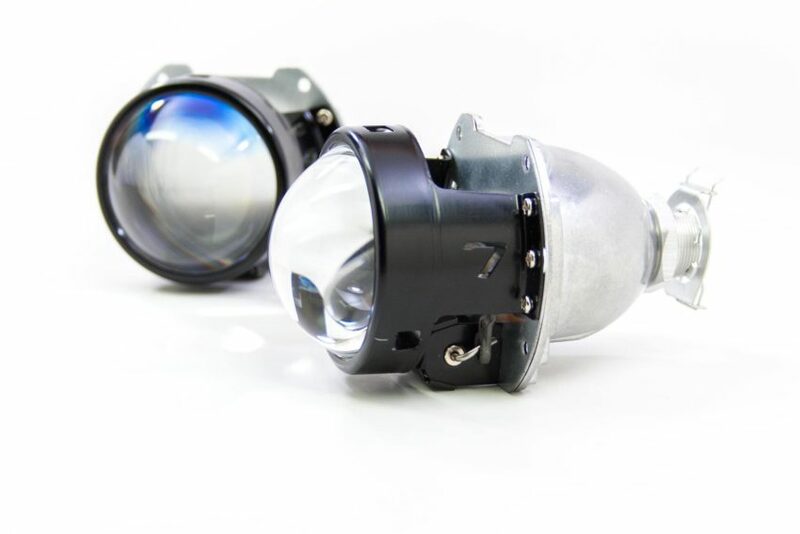 Their bi-xenon high beam provides an insane amount of additonal light on demand. STANDARD EQUIPPED: With your choice of either Mini Gatling Gun or Mini Graphite shrouds to keep things compact and easy to assemble. 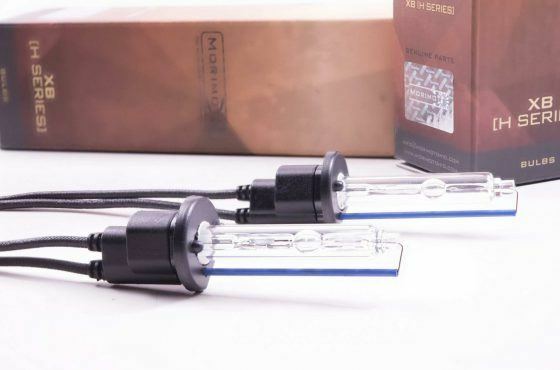 Full size shrouds are also compatible with the Mini’s using the centric rings.OPTIONAL PRECISION BULB HOLDERS: Designed by Morimoto in California, the new MotoHo1der utilizes a three-piece design that’s way more effective but virtually no bigger overall than the old clip setup. The clever three-piece design provides even pressure on the back of the bulb, ensuring perfect alignment. 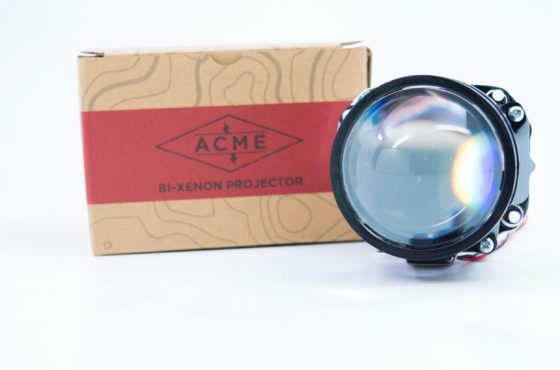 To be honest, we think it’s the single best upgrade to the projector that’s ever been conceived since it helps make the most of the awesome 7.0’s on the road. Well worth the extra few bucks in the grand scheme of things!